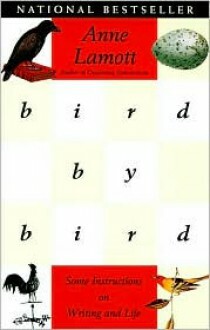 If you create--writing, painting, art, ANYTHING-- Bird by Bird is THE book in my opinion. It's not a how-to guide, but a way of viewing the creative process. My favorite thing by Anne Lamott. Keep this on the QT, but I've always dreamed of being a writer. Bird by Bird made writing seem so delightfully horrible that I've read this book over and over. It's peculiar that I've read this book on writing a half dozen times and yet I've never written a review of it.